So in order to help my finances out as they'll be shrinking a bit when I entered the service, I had to trade out my 2012 Mustang GT/CS. I ended up picking up a 2006 F150 SuperCrew with the 5.4L V8. It's a blast to drive, I'd forgotten how much I loved having a truck! The GT/CS has a great look to it, one of my favorites, to bad you have to let it go. The F150 looks to be in good condition. I just picked up a 06' Expedition Limited last Wednesday, it's to replace my 97' Expedition XLT. its got the same engine 5.4 300HP a ton of power!! they are fun trucks to drive around. I enjoy driving it! In fact I'm doing it right now! 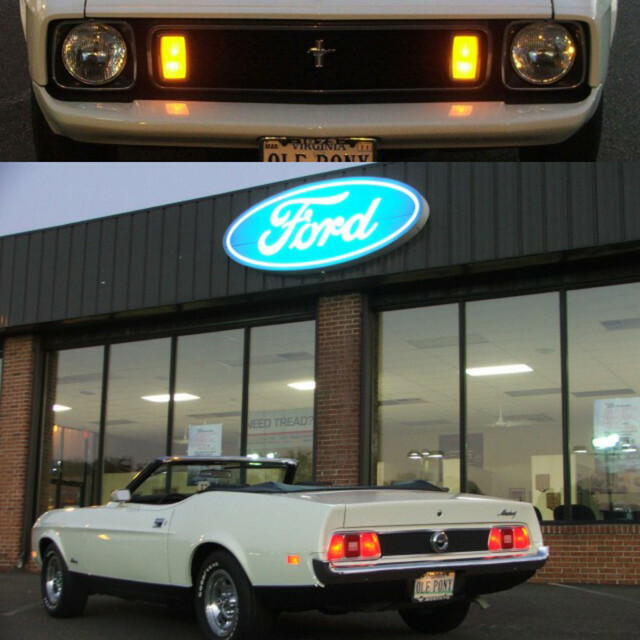 We"ve got almost the same combo, I"ve got a 73 mach 1 with an 05 F-150 STX supercab . I like how California has "No Texting While Driving " signs.